I am a web designer, programer and host provider. I can program in HTML and CSS. I specialize in creating dynamic WordPress sites that make it easy for clients to update and maintain their own websites. I am confident installing, editing and maintaining jQuery, php and SQL scripts and databases. I can optimize websites for SEO (Search Engine Optimization.) I can create online shopping carts, online calendars event registration systems and have integrated sites with POS systems for synchronized inventory and online purchasing. I have designed and implemented HTML email newsletters. I have very reasonable hosting and design rates. 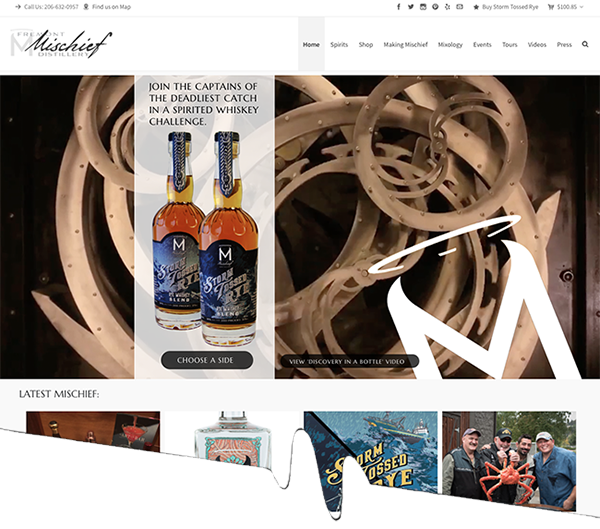 Fremont Mischief Distillery is one of Seattle's oldest craft distilleries. This active website includes a shopping cart to purchase spirits that navigates the complex calculations to apply and collecting the proper state tax to in-state sales. 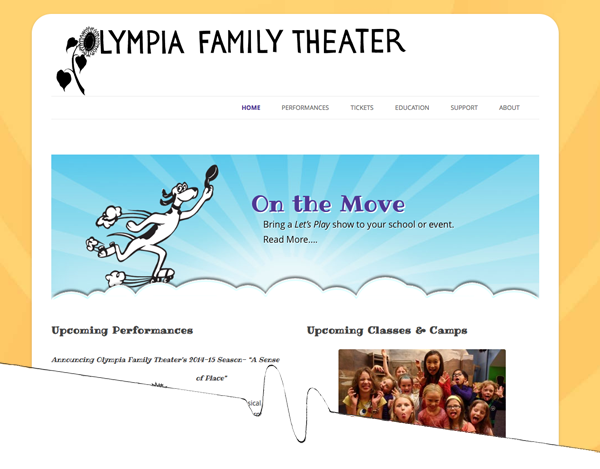 Designed and developed this dynamic site for this active children's theater company. Built the site in Wordpress so the staff can easily maintain and edit the ever-changing content. Incorporated an events calendar, video promotions, image galleries and social network integration. 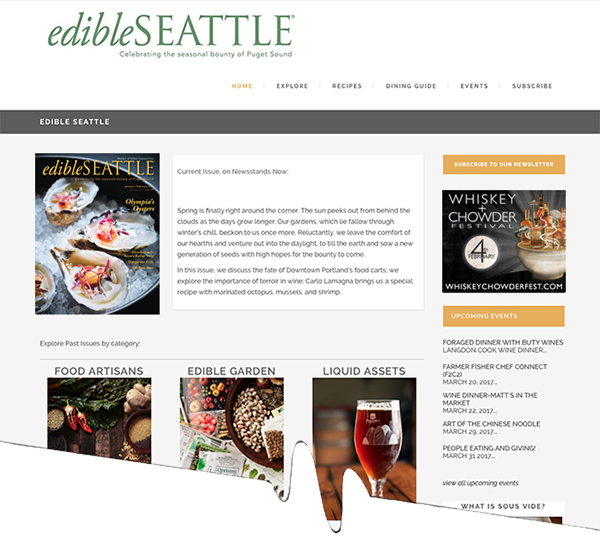 Designed and developed Edible Seattle Magazine's active site featuring easily searchable thousands of recipes, articles and dinning guide entries, centering around sustainable local food from the Pacific Northwest. I have also designed a monthly newsletter that is sent out from the websites back end, making creation of the newsletter efficient with quick links to the articles already posted on the site. Includes a subscription system that handles managing subscription packages and annual renewals. I have also designed their sister website Edible Portland. 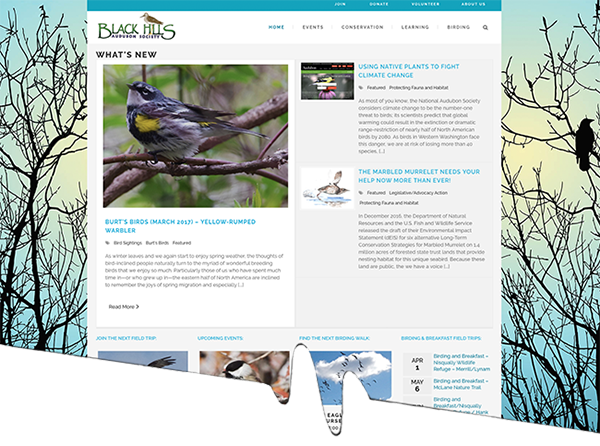 Designed and built an active website maintained and updated by an active volunteer group. I distilled the complex calendar of events into an easier to navigate set of event lists, calendars and posts to share a vast amount of information inputted by a variety of volunteers. The site is active and automatically updates event related content. Designed and developed this site for a NW calligraphy artist to feature her work, make it easy for her to update her portfolio and upcoming events and to easily add watermarks to her images to protect them. Designed and developed this site for a local photographer. 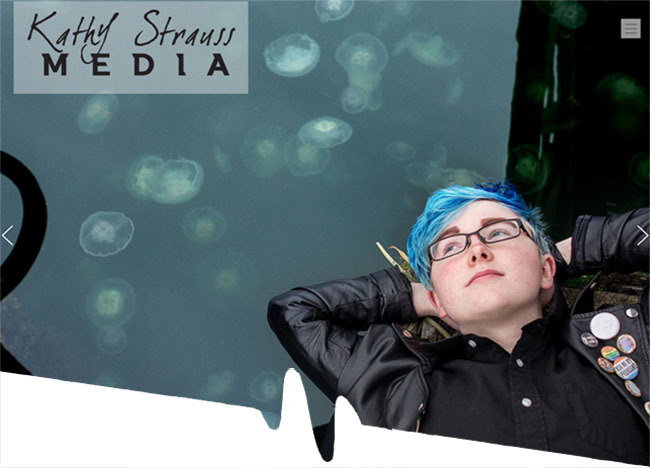 Created a dynamic site that shows off her photography and is easy for her to maintain and update. 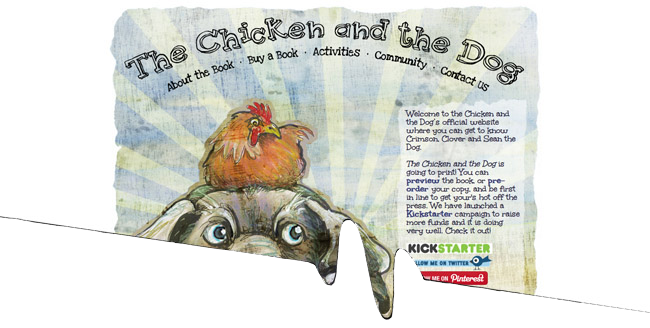 Designed and built this website for the Children's book series I have I illustrated. The site includes a previews of the books, submission pages for folks to contribute pet photos and pet poetry, puzzles and games and links to a PayPal shopping cart.